Despite a federal court ruling blocking key portions of Arizona’s new immigration law from taking effect, members of the Los Angeles City Council said on Wednesday they had no immediate plans to lift the city’s economic boycott of the state. “I think it’s premature to get a knee-jerk reaction now,” said Councilman Ed Reyes, one of the authors of the motion that led to the city’s boycott. “I think we still need to keep the pressure so that we are consistent with our concerns and our actions, but I will be testing and asking my colleagues how they feel and see where we take this,” he said. U.S. District Judge Susan Bolton in Phoenix issued a preliminary injunction Wednesday blocking several sections of SB 1070 from taking effect. Most notably, she blocked the provision that requires law enforcement officials to check a person’s immigration status while enforcing other laws, if they reasonably suspect the person is in the country illegally. She also blocked the section creating a state crime for failing to carry registration papers; the section making it a crime for illegal immigrants to solicit, apply for or perform work; and the portion authorizing the arrest of people believed to have committed an offense that could result in their deportation. Republican Arizona state Sen. Russell Pearce, who authored SB 1070, said attorneys for the state would file an emergency appeal with the 9th Circuit Court of Appeals in hopes of getting a quick review of the decision. “It’s a little disappointing, but again, this is not the final answer,” Pearce told KNX Newsradio. “What she has done is she has enjoined these (provisions) temporarily while they get a greater review by the court. So this is not a restraining order, per se, it’s just a delay, and it’s a preliminary injunction. “But again, it’s pretty disappointing because it is a federal crime to not have your green card on you, your visa on you, if you’re a visitor in the state,” he said. “And we just put that into state law. It is a felony to hire folks that are in this country illegally, but she said that it’s OK for them to solicit work. Still, several council members said they had no interest in immediately withdrawing Los Angeles’ economic boycott of Arizona—at least for now. Several council members also expressed hope that the Arizona debacle will light a fire under Congress to work on federal immigration reform. “We need comprehensive immigration reform (because) there are going to be more states that will attempt to find their own ways of dealing with immigration if the federal government does not do its job,” he added. Cardinal Roger Mahony, archbishop of the Roman Catholic Diocese of Los Angeles, also said the Arizona battle should spark action from Congress on immigration. Despite the judge’s ruling, hundreds of Southland immigrant-rights activists were still traveling to Arizona to protest the measure. Members of the A.N.S.W.E.R. Coalition gathered this morning to pile into vehicles bound for Arizona, where they plan to participate in protests Thursday, when the law had been scheduled to take effect. “People that come here deserve rights. They deserve equality. They don’t deserve to be harassed,” protester David Feldman told reporters before heading toward Arizona. Union members led by the Los Angeles County Federal of Labor, AFL-CIO, had planned to board buses bound for Arizona yesterday. A school scheduled to open a year ahead of time in East Los Angeles is the latest entry in Los Angeles Unified School District’s second round of Public School Choice (PSC 2.0), LAUSD officials announced late last week. 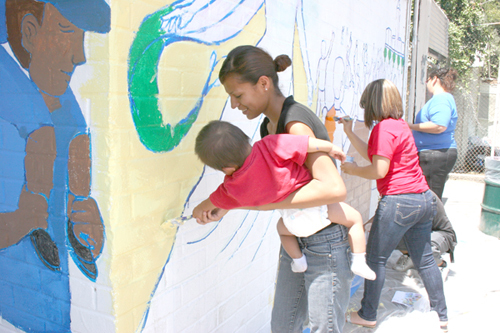 East L. A. Star High School Academy, located on the site of a former hospital, is scheduled to open in August or September 2011. It is the tenth new school to be included in the Public School Choice initiative, according to District officials. Under PSC, outside groups, including teachers and charters, can apply to manage eligible schools. LAUSD announced the second round of PSC about two months ago, and received more than 200 Letters of Intent for the 9 new schools and 8 focus schools identified by the District, by the June 30 deadline. Informational workshops for applicant teams are already underway. When finished, East L.A. Star will be able to accommodate 702 students in 22 classrooms, and will relieve overcrowding at Garfield and Wilson high schools, according to the District’s press release. Superintendent Ramon C. Cortines, who announced his retirement plans last week, said the district is seeking “innovative instruction, proven strategies and solid results year after year” from PSC school applicants. 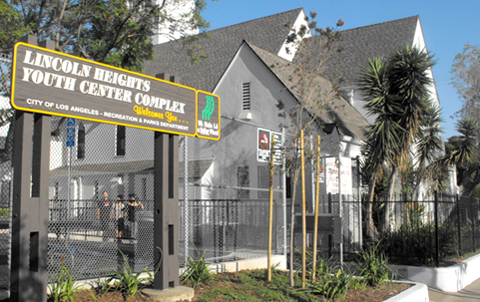 The new high school will share the site with the East LA Star Adult Education campus, currently housed in 16 bungalows and called the Eastside Learning Center. It is run by the Garfield Community Adult School office, and is not part of Public School Choice. 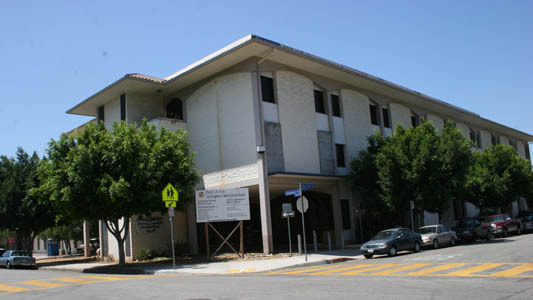 The East LA Star Hospital facility is 105,000 square-feet on 4.98 acres, and cost $47,183,297, according to February 2010 LAUSD Facilities Services Division documents. Facilities Director Tony Arellano told EGP the old hospital building will house both the new high school and the existing adult school currently located in the nearby bungalows. Retrofitting of the building is complete but construction is still underway. Once done, the high school will be located on the third and fourth floors of the building, while the adult school will move into the first floor and basement, he said. Over the next 18 months, the bungalows will be removed and their location converted back to parking for the site, he added. Charter-operator Alliance for College-Ready Public Schools wasted no time in submitting a Letters of Intent for the new campus. According to Communications Coordinator Lili Barsha, the Alliance submitted its letter on July 23, one day following LAUSD’s announcement. EGP also contacted Green Dot Public Schools to inquire whether they were interested in the campus. John Sun, vice president of new school developments for Green Dot, said on Monday they are not planning to apply for ELA Star, but added they did submit Letters of Intent for three middle schools under PSC 2.0. LAUSD is holding an Applicant Team Orientation meeting today, July 29, at 4 p.m. at the District headquarters located at 333 S. Beaudry Ave in downtown L.A. Letters of Intent are due Aug 4. The letters of intent are not bids, but an indication of interest, according to Flores’ press officer Ron Palacios. The final proposals/applications are due December 1. Presentations to stakeholders will follow, leading up to advisory and school, application reviews by two district committees, a recommendation by the superintendent and a final vote by the school board in February 2011. Public School Choice is an in-house educational reform aimed at turning-around chronically underperforming schools. Under the Public School Choice Resolution applicant teams compete to present the best plan to raise student achievement and graduations rates at existing school and all new campuses opening. The first group of 30 schools awarded to applicant teams through Public School Choice will begin to open next month. We have said it before and we will say it again, do not expect most people to be charitable when times are hard, jobs scarce and costs high. Thus, we are not surprised that despite a judge’s decision to at least for now block some of the more controversial sections of Arizona’s anti-immigrant law, SB1070, set to take effect today, many other states are contemplating enacting their own version of the law. While supporters of the Arizona law insist that it is not anti immigrant, but anti “illegal immigrants,” there is no guarantee that those tasked with enforcing the law can easily, or without trampling on individual civil rights, make that distinction as the law is currently written. In passing the law, Arizona has fanned the flames of discontent on both sides of the undocumented immigration issue. What has become abundantly clear is that no matter their position, Americans wants Congress to stop delaying action on immigration reform in favor of meaningless, and getting us no where rhetoric. Federal Judge Susan Bolton has stayed some of the requirements of the law that makes it a state crime to be in Arizona without documents proving legal status to be in the country; requires police officers to ascertain the legal status of people they detain; a crime to solicit or perform work if undocumented, and that authorizes the warrantless arrests of people where there is probable cause to believe the person has committed a public offense that would make them eligible to be deported. Fueled by the bad economy, job insecurity, diminished public services, Latinos, whether native born, legal or illegal immigrants, are now being subjected to a great deal of hate, suspicion and blame for all that is wrong in this country. While some may excuse a Latino brother-in-law, individual co-workers, neighbors or a child’s friend from blame directed at undocumented immigrants, for many it is still easier to blame someone who is or appears to be foreign, than to blame themselves. But that attitude will not solve this country’s problems that go way beyond the question of someone’s immigration status. If we continue to blame the wrong people for everything that has gone wrong in this country, we have no doubt that our future will continue to be very cloudy. There is a sense of extreme anger sweeping America today, in reaction to the news that Obama and US District Judge Susan Bolton thwarted Democracy in America. We are appealing to Americans to remain calm and to channel that anger into sweeping politicians, business leaders, and special interest groups that support Comprehensive Immigration Reform out of power in the elections. ALIPAC stands ready to lead that effort. President Obama and Judge Bolton just sided with illegal aliens against the American public. The will of the American public has been usurped. The President is required by the US Constitution to protect all states from invasion, while assuring states a Republic form of governance. With this court case Obama has deprived Americans of both! It is hard to find the words to express the anger and dismay this decision brings. It is a sad day in America, when part of our own government has turned against the American public on behalf of invaders. On Mother’s Day, three months before Arizona’s draconian new immigration law was to go into effect, a mother of two addressed a vigil outside of an Immigration and Customs Enforcement (ICE) detention center. The woman had been intercepted, without papers, on her way to work. Unable to fight back tears, she told the crowd of the months she spent in this privatized detention center, wondering if she would ever see her children again. Arizona’s new law, which goes into effect at the end of July, will legalize racial profiling by requiring officers to pull over, question, and detain anyone they have a “reasonable suspicion” of being undocumented. The law has catalyzed the grassroots immigrant rights movement, driving hundreds of thousands of activists into the streets demanding comprehensive immigration reform. The Obama administration should scrap enforcement-only policies that separate families and encourage raids, deportations, border militarization, and racial profiling. To achieve sustainable immigration policies, we’ll need to consider the roots of migration. What’s pushing people to leave Latin America in the first place? On a recent Witness for Peace Speaker’s tour, Baldemar Mendoza Jimenez, a farmer and agriculture expert from the Mexican state of Oaxaca, described how the North America Free Trade Agreement (NAFTA) undermined traditional agriculture. Unable to compete with subsidized grains imported from the States, millions of farmers were forced out of work. Jimenez’s story isn’t unique, but this perspective is largely unaccounted for in the immigration debate. In general, undocumented immigrants and their communities get blamed for the situation, rather than the ill-fated economic policies that displaced those immigrants. Not one of the 4,130 words in Obama’s most recent speech on immigration addressed why people migrate. He didn’t address unfair trade, mention displaced farmers, or acknowledge that the immigration rate doubled after NAFTA transformed U.S.-Mexican trade. 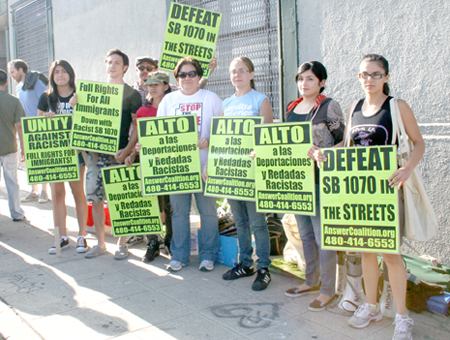 The situation in Arizona demonstrates that we need to overhaul our immigration policies. If we want to stem or slow the flow of undocumented workers into the United States, however, we’ll also need to revamp our foreign economic policies. During the course of its investigation into the current Gulf of Mexico oil spill, The Associated Press was given information from the then-office of Mineral Management Services that was not making a lot of sense. As millions of gallons of crude spewed into the gulf waters and the oversight by MMS officials on BP’s well was being called into question, an anonymous source in that office told reporters far different stories than what they had been initially told. This anonymous source set the record straight by coming forward and speaking out, and suddenly the world knew that this was more than a mechanical failure; it was a full system failure. The people hired to keep these events from occurring were ignoring their responsibilities. At times, anonymous sources provide crucial information to the press. Stories of oil disasters may be the latest, but without citizens coming forward and sharing vital information, Americans would not know about steroids in sports, excessive military spending, or food and drug hazards. We would never have been told about Watergate. A bill currently in the U.S. Senate will help assure such stories continue to reach the public. S. 448, The Free Flow of Information Act, will protect the sources on whom journalists rely from having their identities exposed in all but a few circumstances including where national security concerns are raised. Five years in the making, the current version of this bill is supported by more than 50 journalism organizations, the White House, the Justice Department and most of your Congressional delegation. Most states have laws that can protect a source’s identity from overzealous prosecutors and judges, but there is no such protection yet at the federal level. S. 448 would change that and extend the same protections offered through statute or common law in 49 states to the national government. Without it, stories focusing on the federal government will not be told because reporters are faced with threats of jail time and fines if they do not turn on their sources. Subpoenas against the press numbered more than 3,000 nationwide in 2006 with 335 issued by federal prosecutors seeking the identities of news sources, according to a survey conducted by a Brigham Young University law professor. More than a few journalists have spent time in jail, and some have been forced out of the profession all together by heavy fines that crippled them financially. These are all heavy-handed tactics to elicit the names of people who can then be identified and retaliated against. Media companies large and small faced with the enormous expenses of fighting such legal battles to protect sources are turning their backs on compelling stories. As S. 448 awaits permission from key senate leadership to come to the floor for a full vote, all senators, representing the interests of American citizens, need to hear from their constituents. Citizens who value the importance of transparency in governance and think the American press needs to continue to serve as the watchdog on the federal government should tell their senators to support this measure. The clock is ticking as Congress will recess in August. Tell your senator to have the bill moved to a full Senate vote as soon as possible and support its passage. Without this bill, stories that affect lives, like the oil spill in the Gulf, will never get the detailed attention they need to bring about change. Without this bill, your government has a better chance of operating in darkness or lying its way out of trouble. Help bring this to an end by voicing support for S. 448. Only when there is a free flow of information from the government to its people can we truly appreciate the beauty and power of a democracy. Kevin Z. Smith is the 2009-2010 national president of the Society of Professional Journalists. Reach him at ksmith@spj.org. For more on SPJ’s work to improve and protect journalism, see www.spj.org.